Bulletin board features a self-healing cork surface that is ideal for displaying documents, photos and more. 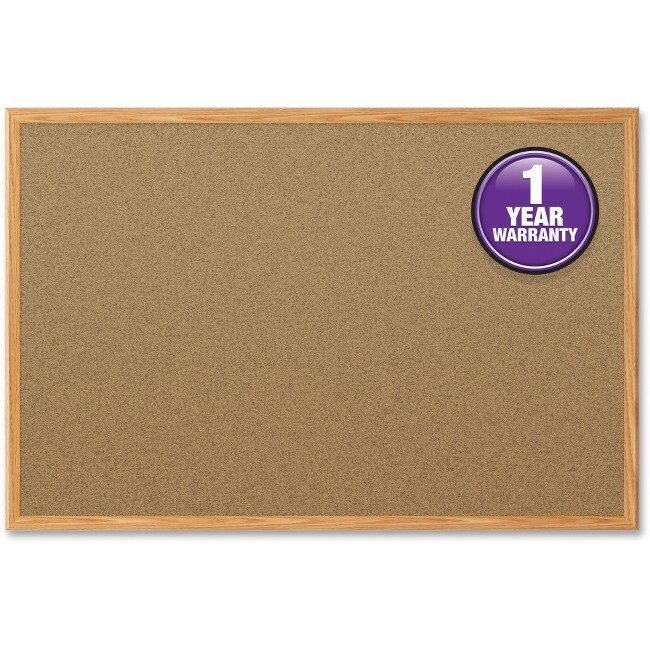 Great for personal use, the board features an aluminum frame to fit any decor. SureLock mounting system is included for quick and easy hanging. Pushpins are not included.